You are here: Home / Amazon deals / Amazon: Snickers Fun Size Variety Mix Candy Bars as low as $5.33 – Shipped! 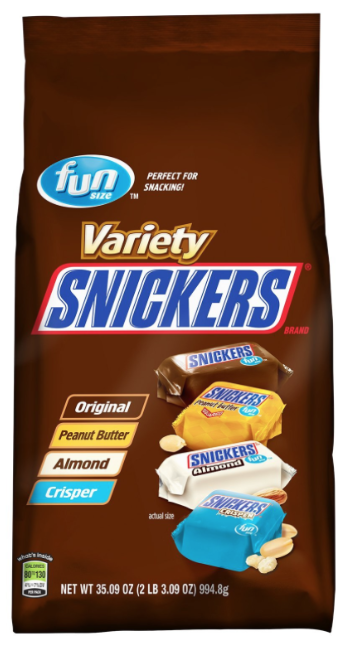 Amazon: Snickers Fun Size Variety Mix Candy Bars as low as $5.33 – Shipped! Amazon has Snickers Fun Size Variety Mix Candy Bars for $5.98 after Subscribe & Save. Even better, if you reach 5 Subscribe & Save orders this month, you’ll pay as low as $5.33. Your total after the coupon and Subscribe & Save will be $5.98 and shipping is FREE.